Over 200 teachers and 400 students attended this successful event held in Newton College in the capital city of Peru. 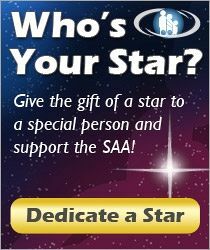 The SAA teacher trainers were Marilyn O’Boyle, Nancy Lokken, Nancy Hair, Virginia Dixon, MaryLou Roberts, Doris Koppelman and Mary Halverson Waldo, all from the USA; Kelly Williamson from Canada; Eduardo Ludueña and Fernando Piñero from Argentina; Caroline Fraser from Peru and for the first time Mary McCarthy from Scotland. Happy participants from Hogar, Santa Maria. Thanks to generous donations, more than half the teacher participants received partial scholarships, and almost a quarter of the students were on full or partial scholarships. 90 teachers attended from Argentina, Bolivia, Brasil, Chile, Colombia, Ecuador, México, Paraguay, Venezuela y Uruguay. Eduardo Ludueña and Book 2 class. Teachers and students came from all over Peru. Many made long and arduous bus trips from extremely remote areas: from Abancay, Cusco, Chiclayo, Trujillo, Ayacucho, Huánuco, Arequipa, Juliaca-Puno, Huancayo, Huancavelica, Huaral and Piura. Mary McCarthy teaching a piano group class. Students attended from Colombia, Chile, Bolivia and, for the first time, Costa Rica. 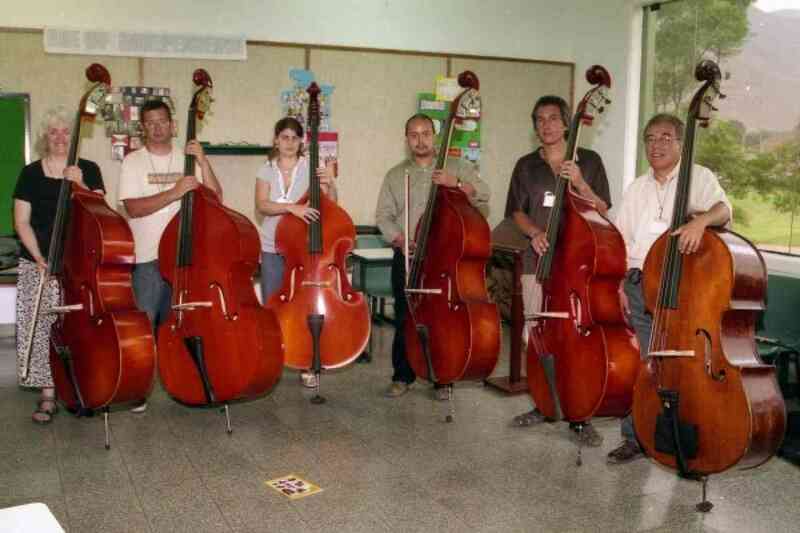 For the first time in Latin America Suzuki teacher training in double bass was offered. Virginia Dixon and her six double bass trainees. Concerto Workshops were offered as part of the Student Festival. All teachers’ courses included a “Teaching Strategies” component (practice teaching) that has been well received. Check out on YouTube “NAPA 35: Método Suzuki, oído y corazón” for an interesting interview made by a TV program for children in the provinces of Peru. You may not understand the Spanish but you can enjoy the enthusiasm and music. Check out www.suzukimusica.com.pe for more pictures from the XXIII Festival! This Festival and the Teachers’ Conference are made possible by generosity of spirit on the part of many people across the world. In a country like Peru where 50% of the population lives in poverty, events such as these must meet the needs of the present economic reality. 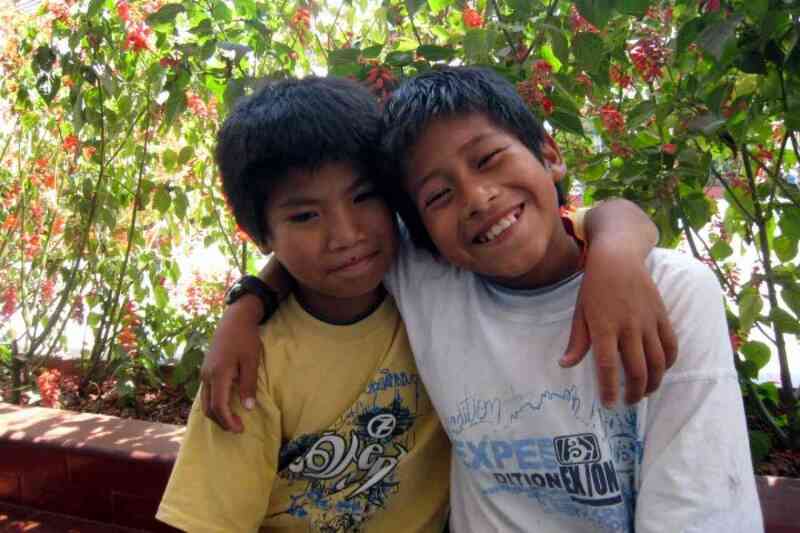 The Suzuki Association of Peru is determined to let Dr. Suzuki’s philosophy reach those who are economically and geographically disadvantaged. 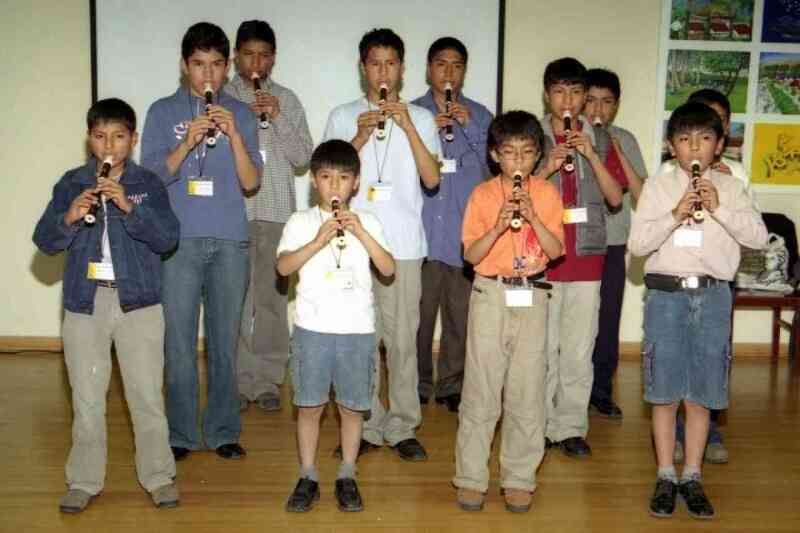 Families and teachers in Peru, in Canada, the USA and Europe have worked together to support this project. Kelly Williamson and donated flute for the Blind Institute. The Suzuki Association of Peru is very grateful to everyone: the Suzuki Association of the Americas which generously helped with teacher trainers’ airfares, and supported our Latin American Scholarship Fund. A special mention goes to Newton College, an International private school which once again gave us the use of their wonderful facilities. Many thanks to our other local sponsors: Padres, a magazine of Cosas, Casa Anders, the National Cultural Institute, the National Symphony Orchestra, the Youth Orchestra System, Music Market, Kentucky Fried Chicken, Burger King, Chilis, Starbucks and Centurion Music. A warm thank you to the Suzuki communities who contributed to our Latin American Scholarship Fund: special thanks go to the families and students at Wheaton College, Illinois for their extremely successful fund raising events! Thanks also to Eugenia Ho, Naomi Kusano, Becky and Javier Trujillo, Anne Shapiro, the Berkeley Cooperative Players, Andrea Cannon, Sandro Pintz, Gregory Morris, Robin Erickson and Ximena Marky in the USA; to the Montreal Suzuki Group, Carmen Wise and Viva (Jeffrey Komar, Kent Fawcett, Stewart Evans, Matthew Schnitzler, Tomas Komar, Steve Komar), Jean and Ian Grieve in Canada; Steve and Margie Catterall and Mary McCarthy in Scotland; Kjell Matheison and Louise Nicol-Smith in Norway and the Suzuki Piano Class of Munich, Germany, along with their teacher Maxi de Buhr. Thanks to everyone! Muchissimas gracias! 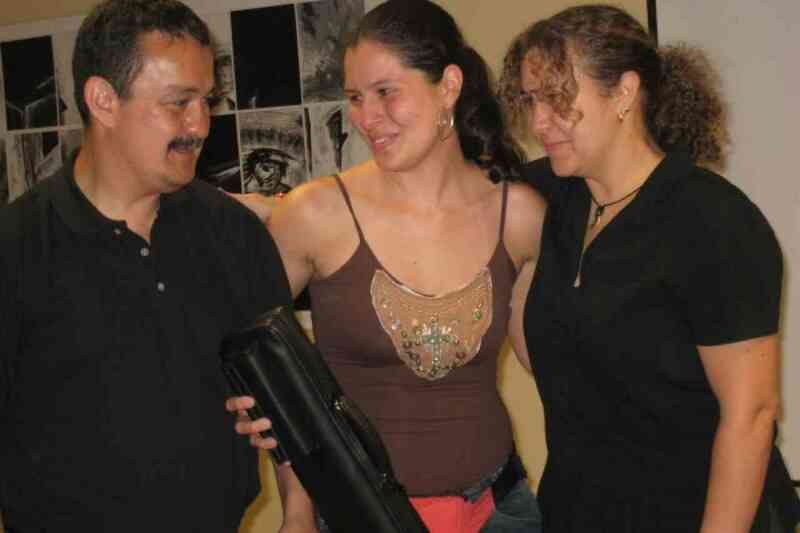 Amongst the teachers on scholarships were three Colombian teachers from the Institute for the Blind in Bogotá; Jimmy Medina and Pablo Sarmiento, violin and Tarcicio Andrade, flute. In an interview for a television program filmed during the festival, Tarcicio commented that as Dr Suzuki had said “All children can learn” that must include the blind children at his Institute. They were anxious to get back to their students and share what they had learned in Peru. All children can! 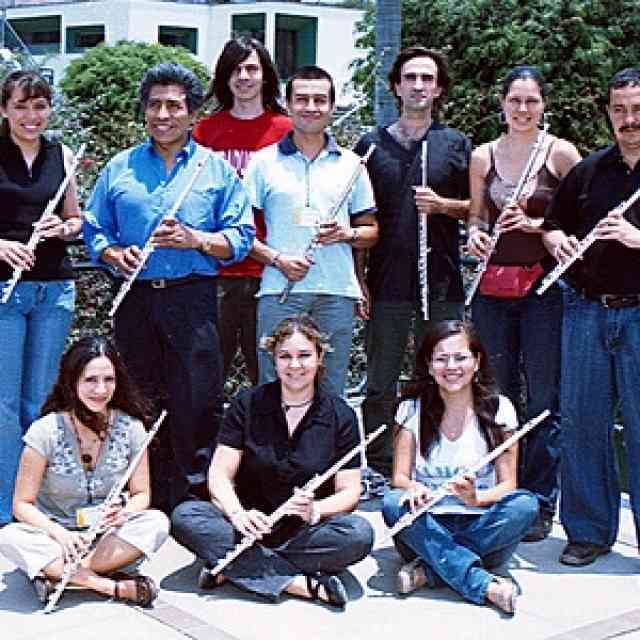 Roberta Centurion received her musical training at the Universities of Mansfield (PA) and Michigan and Suzuki Pedagogy training en Peru and the U.S. A charter member of the Suzuki Association of Peru, she was the guiding force in its early growth and development during her ten-year presidency. 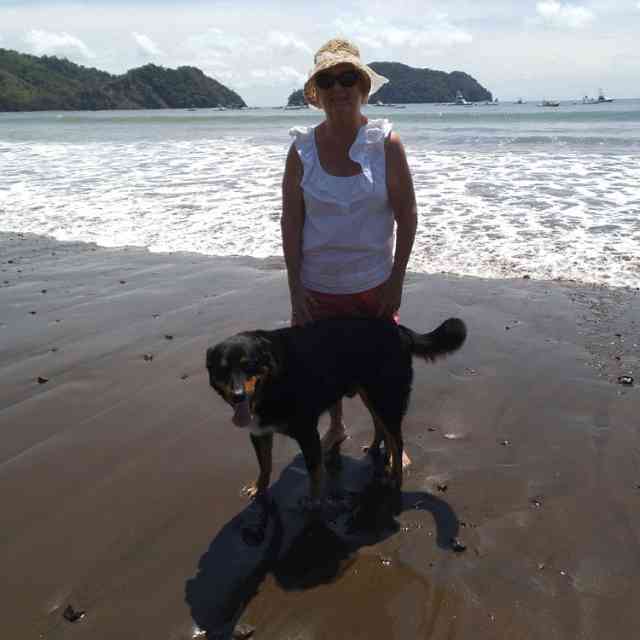 She has directed/co-directed 23 Suzuki Institutes and 4 Latin American Suzuki Teachers’ Conferences in Peru and has taught in Institutes in the U.S., Korea and South America. 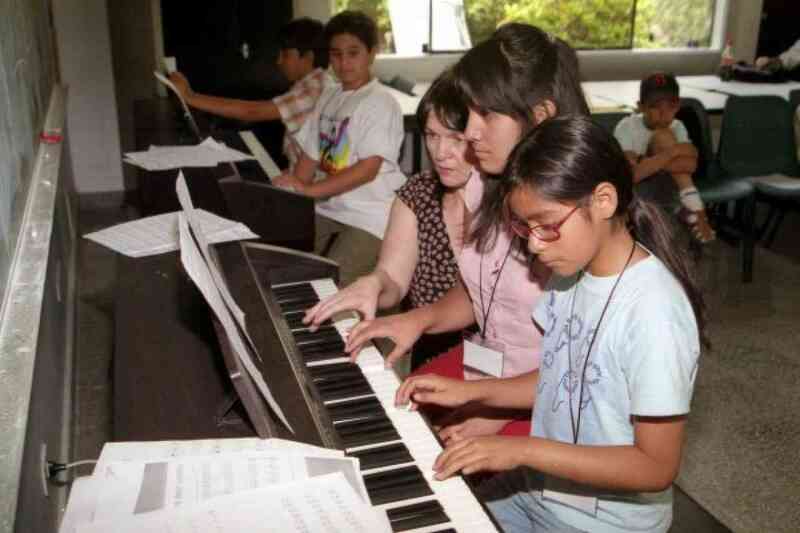 Roberta teaches Suzuki piano in her studio, has 35 years experience teaching music in schools, and gives seminars and courses about Music Education and the Suzuki Method throughout Latin America.